Recently Pawan Kalyan broke all confusions about his 3rd marriage with Russian lady Anna Lezhneva. He agreed that he had Three children in front of media,and also he said some situations made to him marry but he don't want to reveal those because those his personal matters.Here is the Reason appeared on Social media networks. 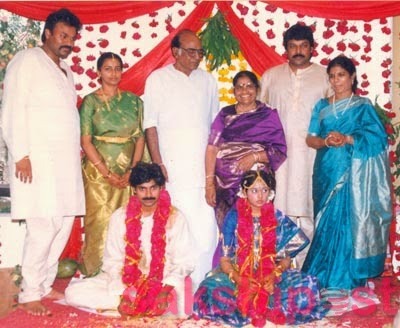 Real Reasons for Pawan Kalyan 3 Marriages: At first he married to Nandini in 1997 who is cruel in Nature and money minded which leads Differences between Pavan Nandini surfaced some time They lived separately for many years, and both got divorced in 2007 and he paid 5 Crores as Alimony. After that Pawan become busy in doing films, He met Renu Desai when doing Badri movie and they got married in 2009. They Lived very Happily and had two lovely kids named Akira Nandan and Aadhya. All we know that mega brother Nagababu produced Orange movie and lost huge amount of money. So Pawan gave 25 crores to his brother Nagababu on behalf of mega family, on this matter Renu felt in secure. She does not like this attitude of Pawan giving huge money with out bothering about their children's future.She hurt deeply and applied for divorce.She left Pawan and Children and went to Pune to earn money and fame independently. 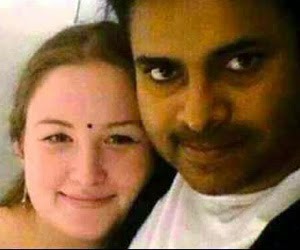 Pawan Kalyan 3rd marriage, He met Anna Lezhneva at Teenmaar movie Shooting who played supporting character.she firstly loved a person and got pregnancy but He cheated and they broken up their relation.After that she planned to marry another person but unfortunately it was cancelled. This made Pawan Kalyan feel sorry about her with out any second thought he married Anna Lezhneva in that Situation and he adopted that child. Actor Pawan Kalyan met the Russian national, who is currently 'totally Indianised' Pawan Kalyan marriage story is a significant charming one.